So, far today 2 deals were completed. Astros and A’s made a deal that swapped lefty Scott Kazmir to the Astros and prospects catcher Jacob Nottingham and right-handed pitcher Daniel Mengden to the A’s, according to Oakland A’s. Kazmir name was swirling since the last couple of months as trade bait. A’s got 2 good young prospects. Nottingham is a catcher who is a hitting machine and is working on his defense. Nottingham is currently hitting .324 with 4 homers and 14 RBIs in high Single-A, also he has thrown out 25% of his runners on the base paths, per Baseball-Reference.com. Mengden is looking sloppy in high Single-A. He can be a starter if given time in the long run, but can be a reliever in 2 to 3 years. Astros went the cheapest way to acquire a top pitcher. Got a rental and saved lots of money instead of going to get Hamels. Kazmir is a solid pickup, but I personally think the Astros need a pure ace, but Keuchel might be the ace in their eyes. 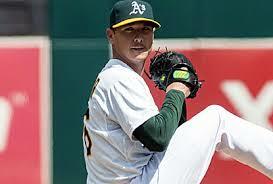 Kazmir adds playoff experience to a young team and has pitched to a 5-5 record with a pretty ERA of 2.38. He has punched out 101 batters and gave up only 35 walks, per Baseball-Reference.com. Kazmir will return home to where he grew up at. Houston! Pirates and Brewers made a quick deal today. Brewers flipped 3rd baseman Aramis Ramirez to the Pirates for young 23 year old pitcher Yhonathan Barrios, according to NBC’s very own Craig Calcaterra. Ramirez will add pop in the lineup and give McCutchen some protection and Pedro Alvarez also, even though Alvarez looks like him might be traded. Ramirez is hitting .247 with 11 dingers and 42 RBIs, per Baseball-Reference.com. Brewers new prospect was pitching at Double-A to start the 2015 season and has now worked his way up to Triple-A. 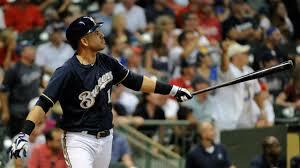 I expect the Brewers to put him in Triple-A. Barrios has pitched himself to a 1-2 record with 9 K’s and 8 walks. He owns a 4.60 ERA. His numbers at Double-A are much better, but Triple-A is more advanced. Ramirez is returning to the organization that gave him his first chance professionally, the Pirates! Previous Post Orioles Need A Bat And Tigers Need A Starter. Both Have The Right Pieces To Get The Deal Done !